Take a tour around the world to meet all kinds of bears in this delightful pre-reader. Kids love bears and in this book they'll be introduced to them all: Grizzly, polar, sun, sloth, black, and brown. Great full-color photos reveal details about how and where they live. 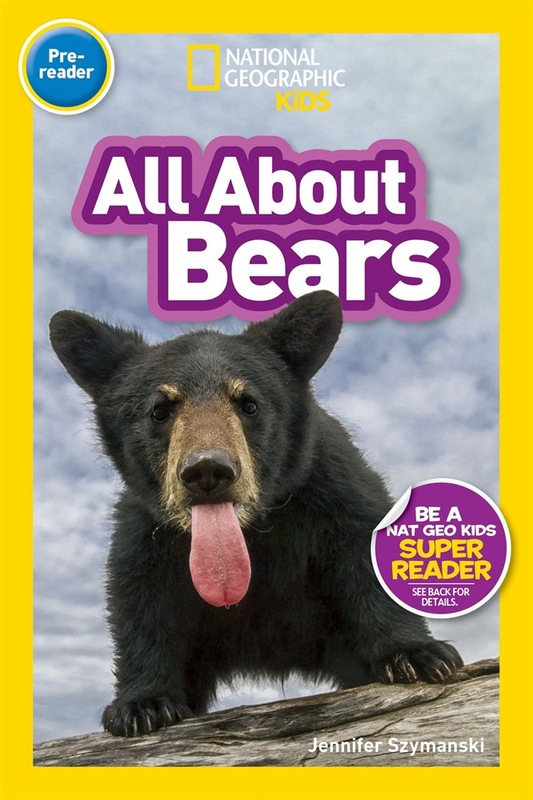 Perfect for beginning and young readers, National Geographic Pre-readers include simple, expertvetted text and large, engaging photos on every page. A vocabular tree at the beginning of the book introduces key words in concept groups, helping kids make connections between words. Plus, a wrap-up activity gives kids a chance to use what they've learned, while expanding their understanding of the world. Acquista National Geographic Readers: All About Bears (Pre-reader) in Epub: dopo aver letto l’ebook National Geographic Readers: All About Bears (Pre-reader) di National Geographic Kids ti invitiamo a lasciarci una Recensione qui sotto: sarà utile agli utenti che non abbiano ancora letto questo libro e che vogliano avere delle opinioni altrui. L’opinione su di un libro è molto soggettiva e per questo leggere eventuali recensioni negative non ci dovrà frenare dall’acquisto, anzi dovrà spingerci ad acquistare il libro in fretta per poter dire la nostra ed eventualmente smentire quanto commentato da altri, contribuendo ad arricchire più possibile i commenti e dare sempre più spunti di confronto al pubblico online.